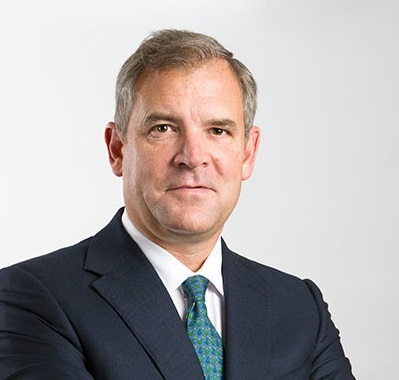 The Chairman of the Lloyd’s of London specialist insurance and reinsurance marketplace, Bruce Carnegie-Brown, has called on the marketplace to innovate in order to improve relevance to customers in the rapidly evolving risk transfer space. Delivering a key note speech at the Lloyd’s building yesterday on Lime Street, London, Carnegie-Brown said that he thinks there is a “real issue with whether our insurance products are relevant” to customers, and called on the industry to innovate to move forward. “When I talk to risk managers, they will typically have their top ten list of risks, and most of them will tell me that only two or three of those risks are insurable. And, I think we need to adapt our product capabilities, and innovate new products that are going to be relevant to our customers in the future,” said Carnegie-Brown. The level of underinsurance across world, in both developed and emerging markets, is staggering, said the Lloyd’s Chairman, adding that the changing risk landscape, which is seeing exposures move from the tangible to the intangible, is further driving the need for relevance in today’s insurance and reinsurance market environment. “We are phenomenal at underwriting the value of buildings, but buildings are a smaller and smaller part of the value of any corporation or individual’s asset base. And, increasingly, of course, the move into intangible risks – we talk a lot about cyber risks that didn’t exist five years ago, but they exist today – but also things like reputational risks are incredibly important to our customers,” said Carnegie-Brown. Ultimately, said the Lloyd’s Chairman, successful markets have five key characteristics: Trust, relevance, speed, accuracy, and efficiency. “We need to be able to respond to their (clients) risk needs. And, so, I think relevance is an incredibly important issue for us to address in the future, and I think relevance is very connected to innovation,” said Carnegie-Brown. He argued that the industry isn’t spending nearly enough time on innovation, and said that while he believes Lloyd’s is more innovative than anywhere in the industry, more still needs to be done. “There’s not a good enough standard, our industry has to do better if we are going to crack this relevance cycle for our customers,” said Carnegie-Brown.